The last time Drake rolled into town was approximately two years ago, though it doesn't seem like a long time, things have changed for the superstar from Toronto. Since the last time he hit Australia, he dropped his album Views, his playlist from this year More Life, as well as his collab album with Future What a Time to Be Alive. So, if you saw him live back in 2015, it was guaranteed that his Boy Meets World tour was going to be completely different from what he last served up. When you're the biggest hip-hop artist in the world right now, you don't need a support act. When it was time for him to make his way onto the stage, he did it in the most extravagant way possible — emerging from a cloud of smoke from underneath the stage. I can't imagine how much his set design cost him, but it would have cost him a tonne. His stage design, as well as the other aspects associated with it such as his lights, effects and props is something you expect from Beyoncé. He's set a new standard for live shows in hip-hop, and I can't see anyone topping it — I mean, maybe Kanye. He separated his show into three segments. The first featuring an elaborate light show in every song. It wasn't hard to find yourself hypnotised by the light formations during each performance. He opened up the night with 'Free Smoke', which included an extended intro of Hiatus Kaiyote's sample in the beginning of the track. He moved into other energetic singles such as 'Trophies', 'Started From the Bottom' and 'Headlines'. He closed up the initial section of his set with a quick round-up of some of his other hits, including 'All Me', 'Worst Behavior', 'Versace' remix, 'Pop That', as well as a few others. The round-up also included his collab with Big Sean 'Blessings', which was unfortunately cut short. It would have been great if he performed his verse instead of quickly doing the hook before moving on. He left the stage with 'Crew Love' playing, leaving everyone singing along with The Weeknd's part. 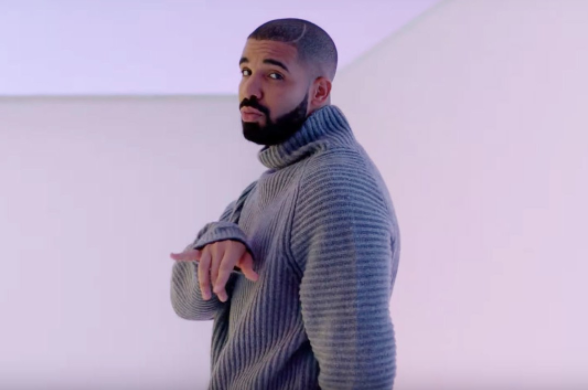 When he returned, he launched into 'Hotline Bling'. The second segment of his show was all about his elaborate production of the lanterns/balls. The person who was in charge of controlling these deserves a damn medal. His set design during the segment was absolutely insane. As well as playing hits such as 'Portland', 'Controlla', 'Too Good' and 'Hold On, We're Going Home', section two also included the highly-talked about moment where he pointed out the person wearing a 'Free Meek Mill' shirt and gave his own shoutout to his previous rival. It was an interesting moment, considering that Drake once wore Meek Mill's mugshot on-stage. This segment ended with 'One Dance'. The third and final segment of his show began with the inflation of a massive ball, which acted as the moon and sun. He saved his most fire songs for the end, which included 'Gyalchester', 'Know Yourself', 'Energy', 'Fake Love' and 'Legend'. After finishing 'Legend', he did a speech thanking the crowd before departing and leaving everyone wishing it went longer. Fans were treated to an extravagant display of incredible live vocals, charisma, intricate stage production and a passion for performing. If this is what he dished up this time, his next tour will be out of this world.